(Bloomberg) -- Eli Lilly & Co.’s Elanco Animal Health Inc. business raised $1.5 billion in its U.S. initial public offering, pricing its shares above the marketed price range. Elanco sold 62.9 million shares for $24 apiece, according to a statement Wednesday, after marketing the stock for $20 to $23 each. That gives the business a market value of $8.5 billion, according to data compiled by Bloomberg. Pricing the deal higher than expected is a good sign in what will be a test of investor appetite for large, standalone animal-health businesses. The first one to be taken public by a pharmaceutical giant has rewarded investors with a tripling in stock price. Elanco faces the challenge of showing that it can follow suit five years after rival Pfizer Inc. listed its animal-health business, Zoetis Inc.
Elanco will have the benefit of pointing to its competitor’s success as a standalone. It will also have to convince investors that its shares will remain a good buy. Investors have been attracted to the higher multiples of the animal health industry when compared to medicine for humans, said Kevin Kedra, an analyst with Gabelli & Co. One reason is that the drug development process is shorter for animal medicines than those for people, allowing products to reach consumers more quickly, he said. There’s also not typically an insurance component, he said. While Zoetis’s performance may give a lift to the sector, its success also sets a tough comparison for Elanco to live up to a public company. At the IPO price, the company would have a price to 2017 sales ratio of 2.96 times. That compares to the 6.65 times fetched by Zoetis over the same period, the data show. Zoetis also tops its rival by having been profitable for several years prior to its listing, according to data compiled by Bloomberg. Elanco, which racked up net losses for the past three years, said in a regulatory filing that it reached profitability for the first half of this year, earning $9.9 million on revenue of $1.5 billion. Elanco chases the same markets as Zoetis and sells similar products for livestock and pets. The global market for animal medicine is estimated to be worth about $33 billion and grow by 4 percent to 6 percent a year, according to research by analysts at Cowen Inc.
Zoetis, though, is bigger and slightly less dependent on drugs for agriculture and livestock, which have been affected by consumer and regulatory pushback against antibiotics in food products. Elanco gets two-thirds of its $2.9 billion in revenue from drugs for livestock, and the preference for dairy products produced without the use of antibiotics is cited as a risk factor in the IPO prospectus. Elanco Chief Executive Officer Jeff Simmons said on a call to analysts earlier this year that the company had underestimated the impact of the so-called clean-food movement. Zoetis also gets a higher percentage of revenue than Elanco from vaccines, according to Evercore ISI analyst Umer Raffat. 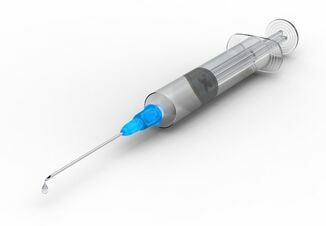 Vaccinations typically have higher margins and haven’t faced as much opposition as antibiotics. Investors will be watching whether Elanco can expand its operations and improve its margins from about 50 percent to 60 percent in the next five years, Kedra said. That compares to Zoetis’ 67 percent gross profit margin, according to data compiled by Bloomberg. Elanco has grown rapidly through at least 10 acquisitions since 2007, including the $5.4 billion takeover of Novartis AG’s animal-health unit in 2015. 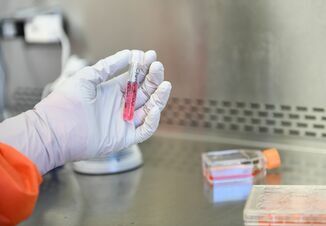 In 2016, the unit opened a 48,000-square-foot research center next to its Greenfield, Indiana, headquarters to develop vaccines for pets and livestock. Elanco’s recent acquisitions involving vaccines and medicines for aquaculture could help meet investor expectations, Kedra said.